Death is an inevitable part of life, yet the gift of a being’s life seems to bring us so much joy that we forget mortality as a fact. This is a good thing as the love, appreciation and sense of connection we experience with a significant other is what contributes to giving our life a sense of meaning. It is important to point out that grief can extend beyond the death of a person. People can mourn the loss of pets, jobs, moving to a new city, social or career roles and the breakup of relationships, as these all significantly influence the ways in which we live our lives. The grieving process can be viewed as an adjustment period, adapting to a new life without that person. The impact can catch us by surprise as we may not have previously realised the contribution of a being’s life. It can affect us in different ways, with each person coping with grief in their own unique way. With that being said, there are some strategies and mechanisms that have been found to be more effective than others. 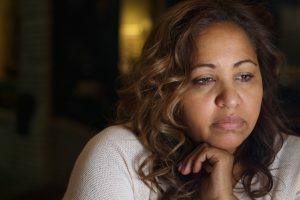 Vision Counselling and Psychology have collated some of our favourite resources for coping with grief and loss that we hope is of use to you during this difficult time. A great blog covering topics such as grief support groups, self-love in a time of grief and meditation practices. For those who are after a short course, the eight week Mindfulness and Grief mediation course may be of great use to you. Devised by author of the book, Mindfulness and Grief, comes a practical approach that emphasises the importance of support during a time of loss. For those after podcasts, books, blog posts and online courses, you will find great pleasure in listening to the work of Megan Devine, author of the book, “It’s Okay That You’re Not Okay”. One of the top-rated grief and bereavement books, Megan a psychotherapist, explores what it means to grieve in a culture that does not always allow for the full process to carry out. If you or someone you know is struggling with grief, please do not hesitate to book an appointment or contact Vision today.